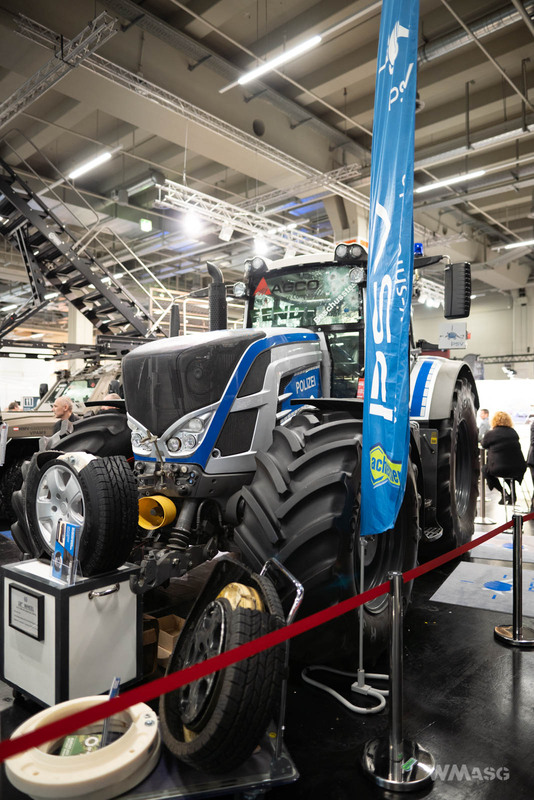 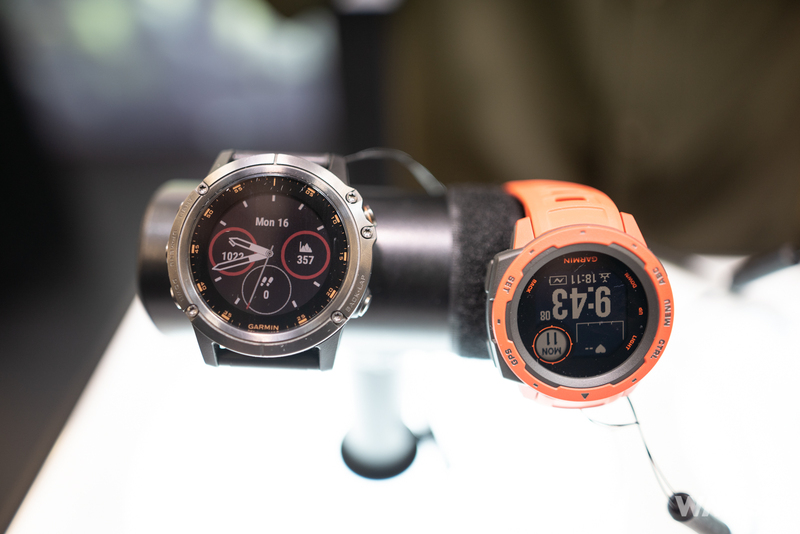 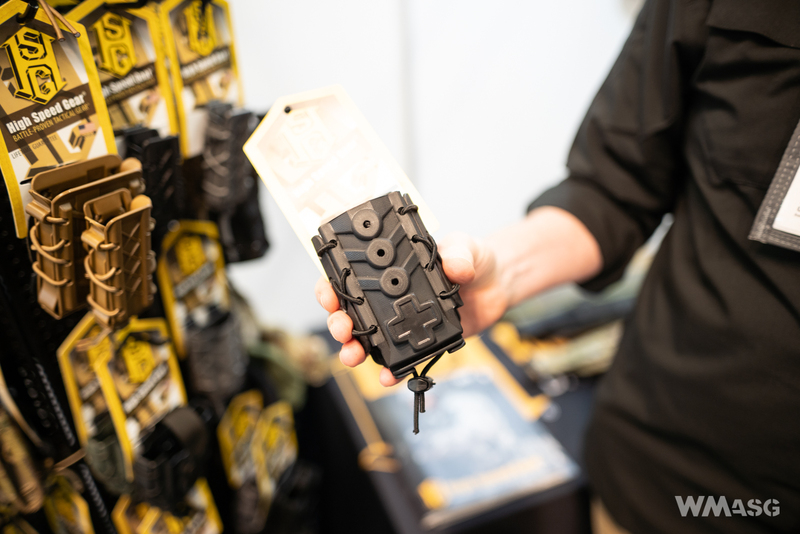 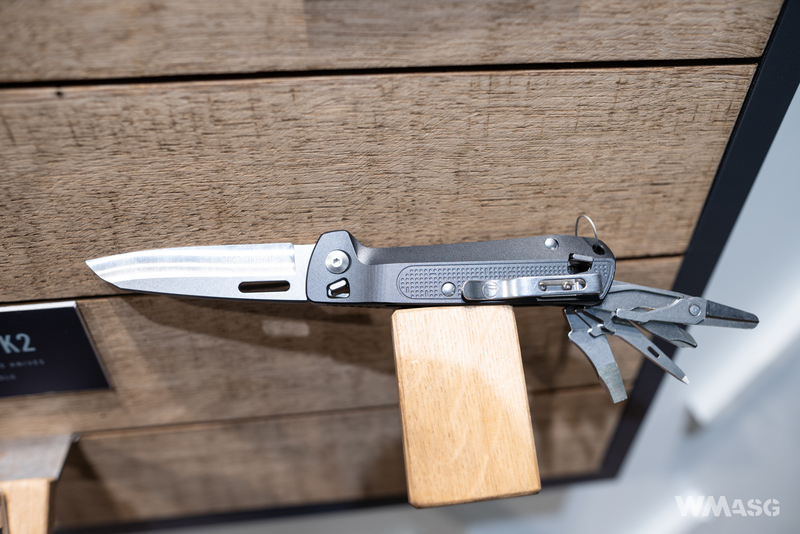 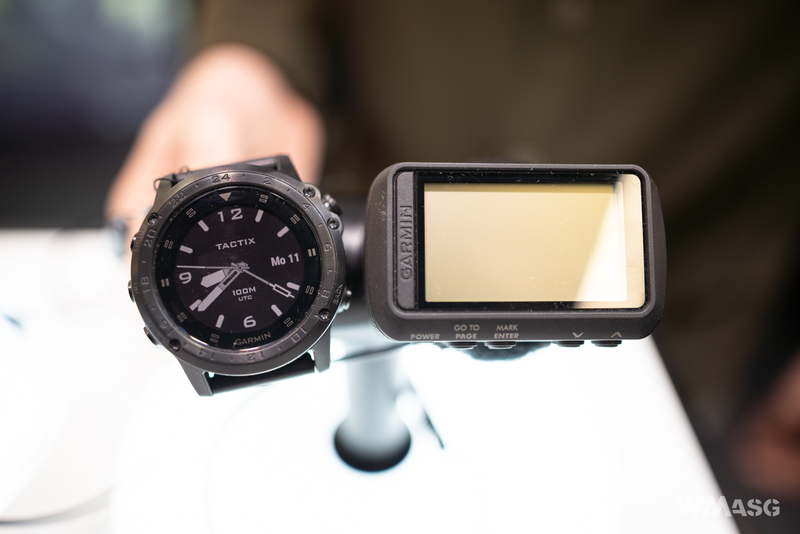 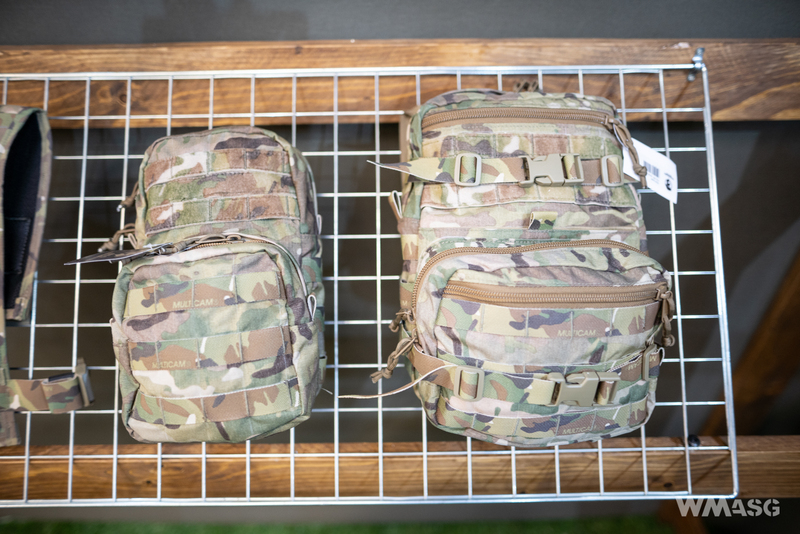 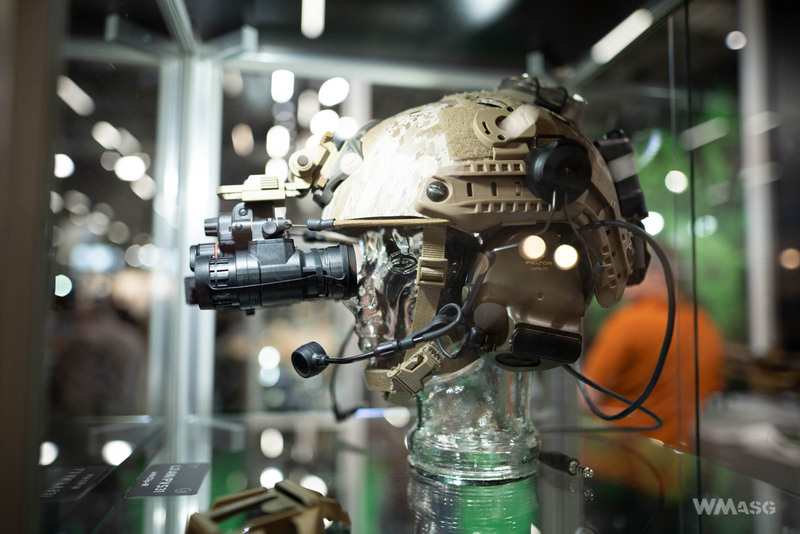 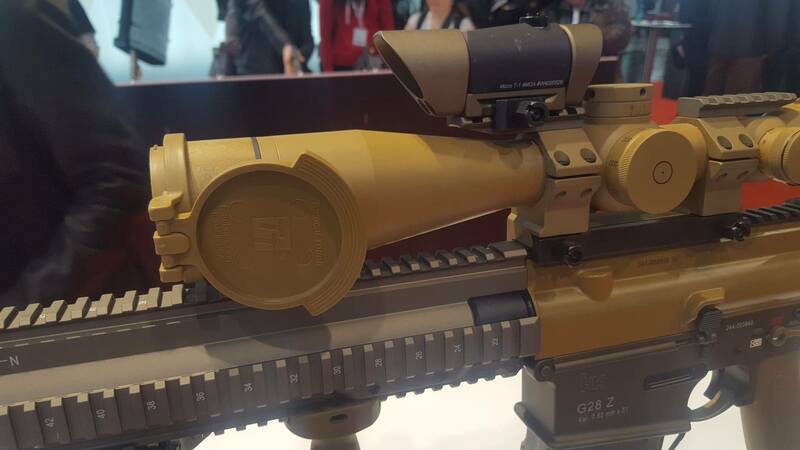 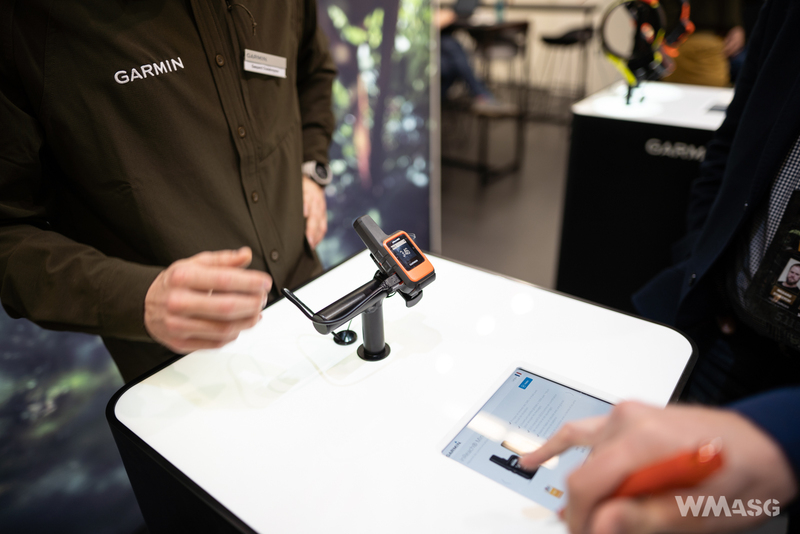 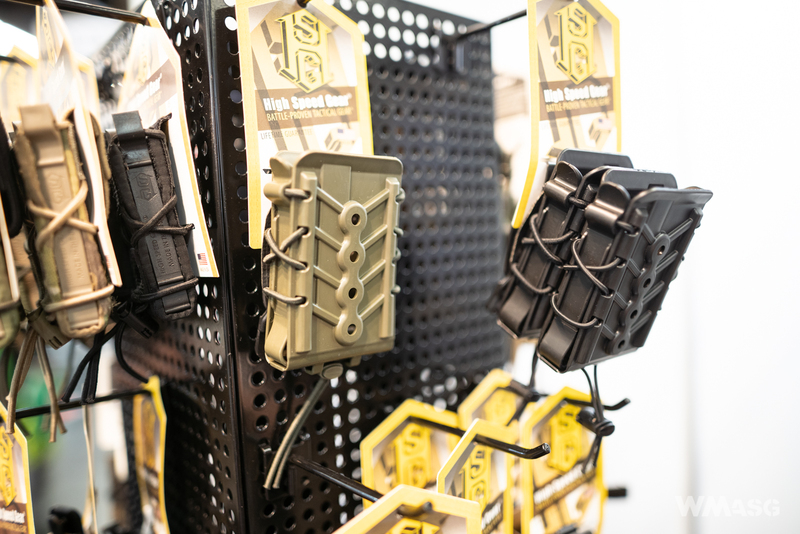 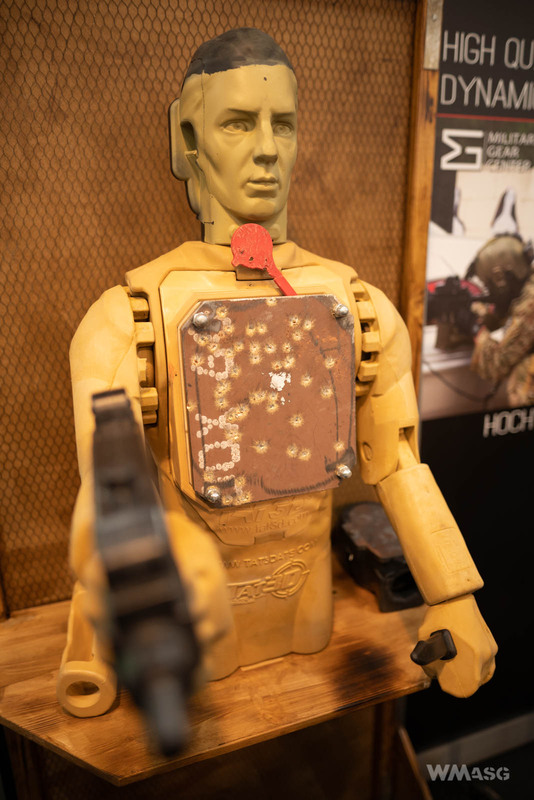 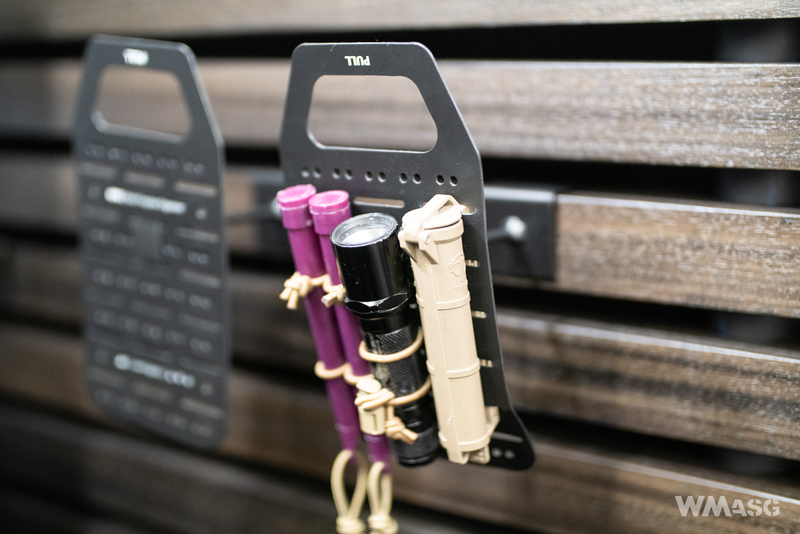 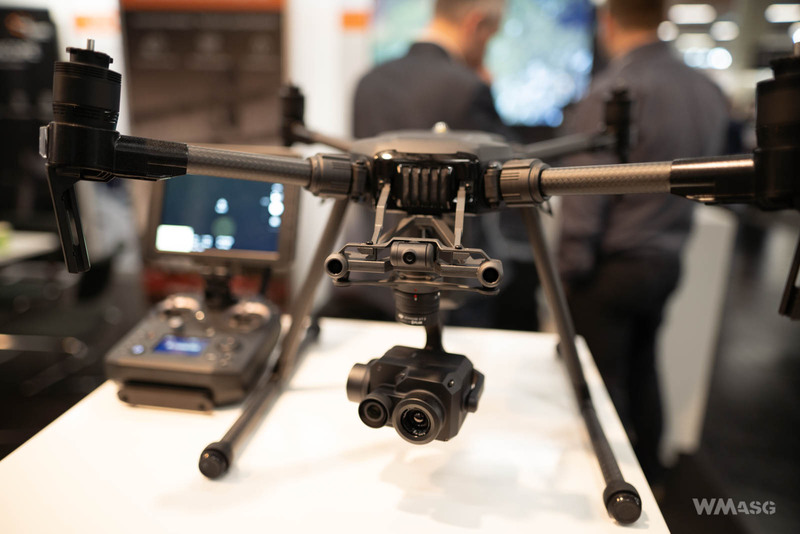 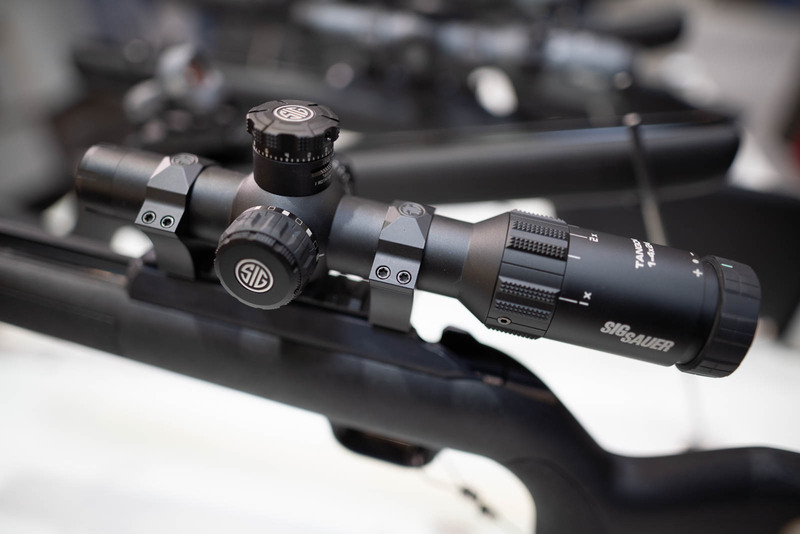 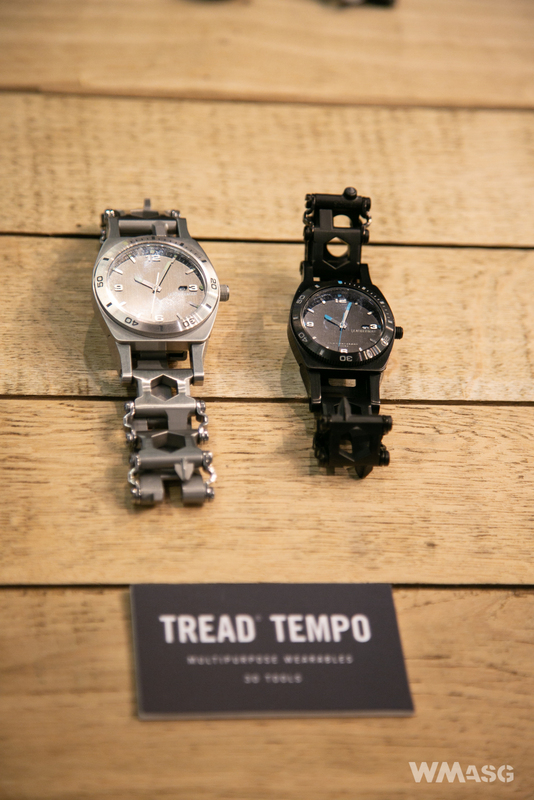 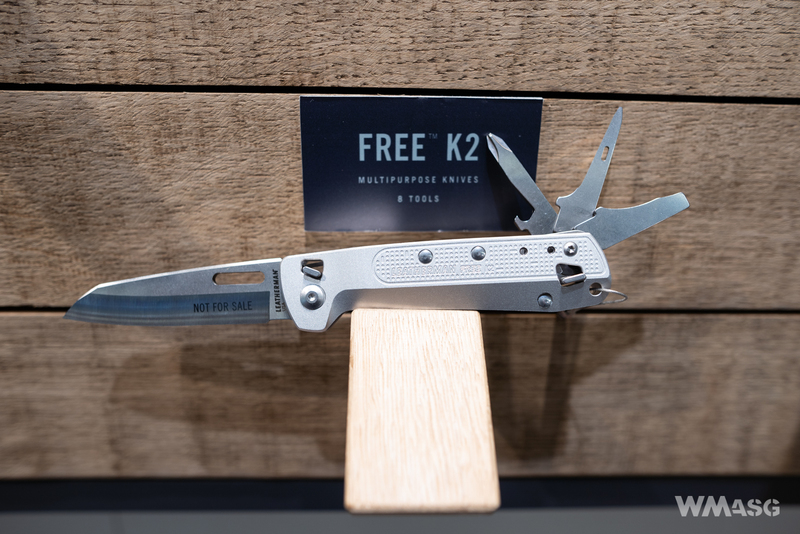 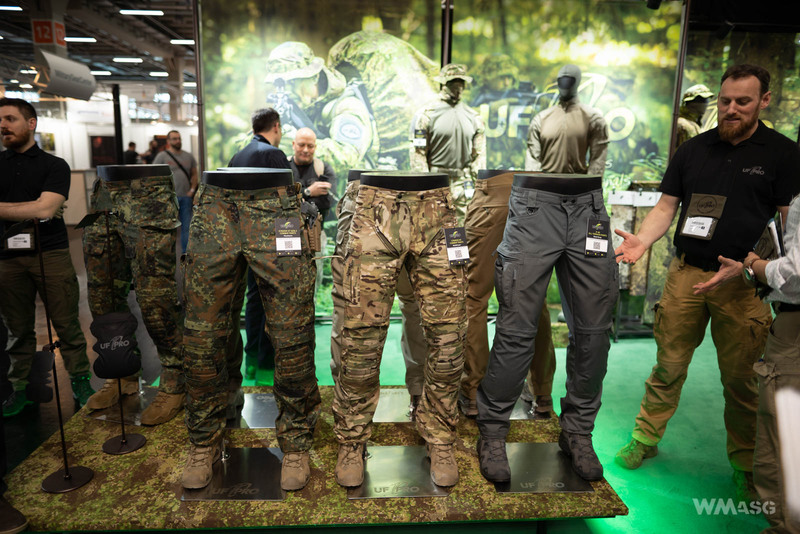 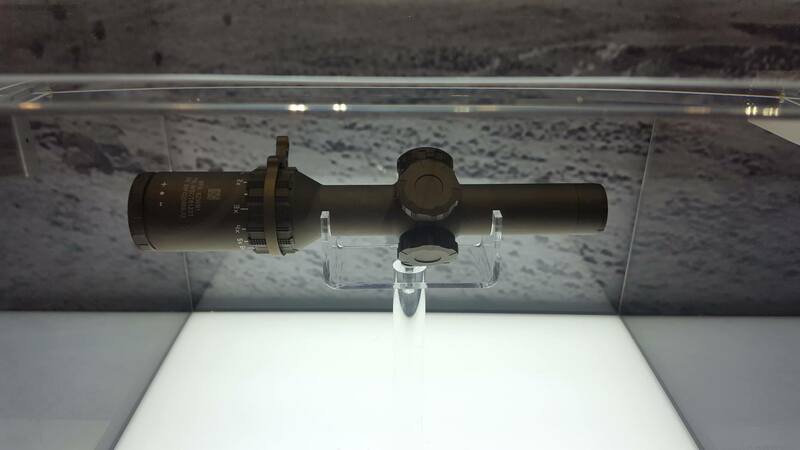 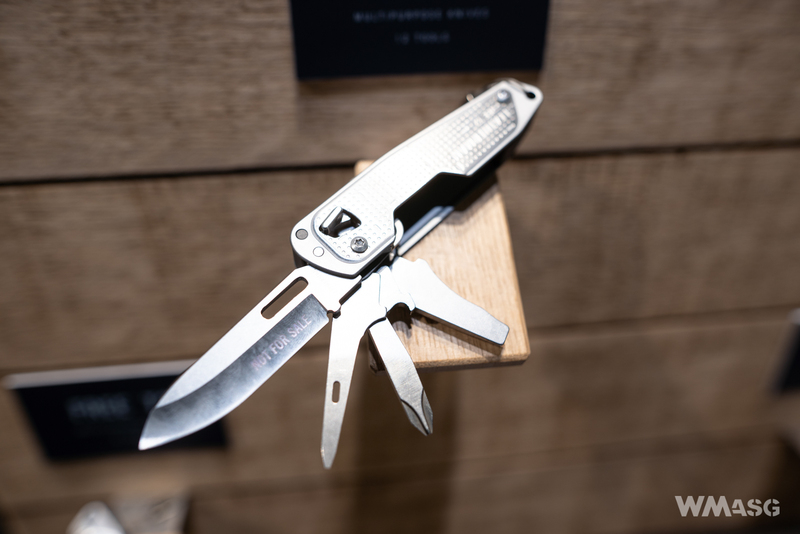 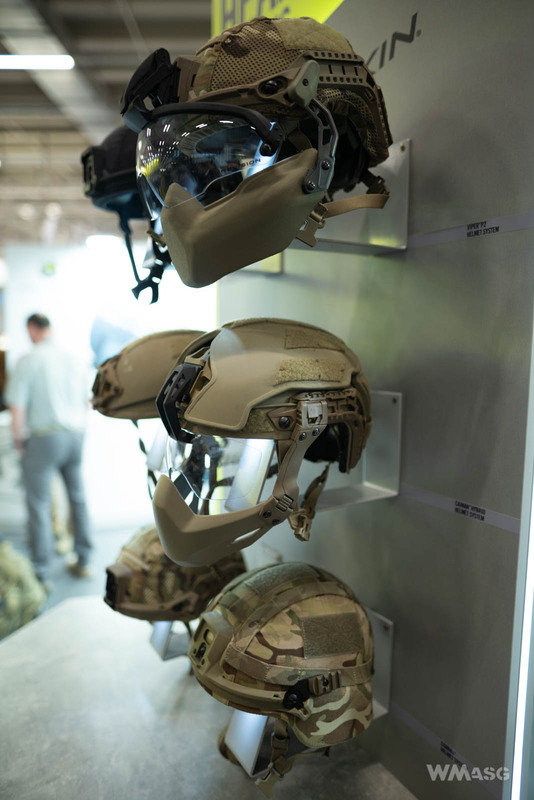 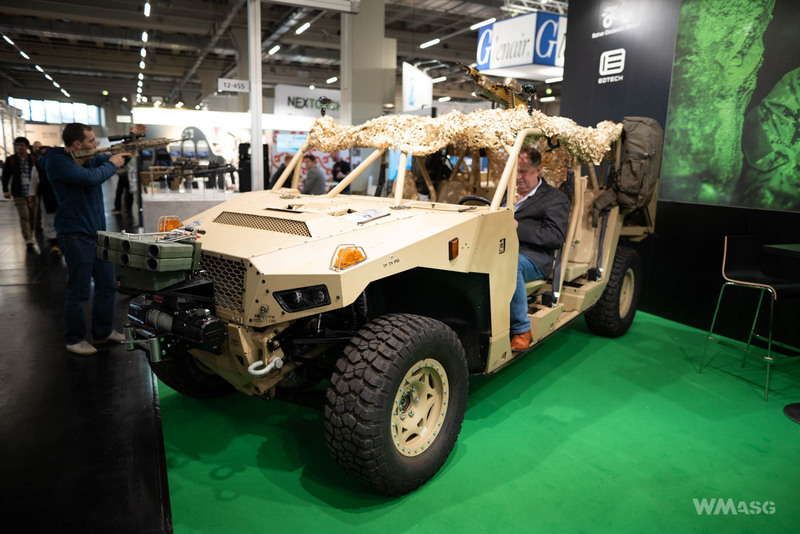 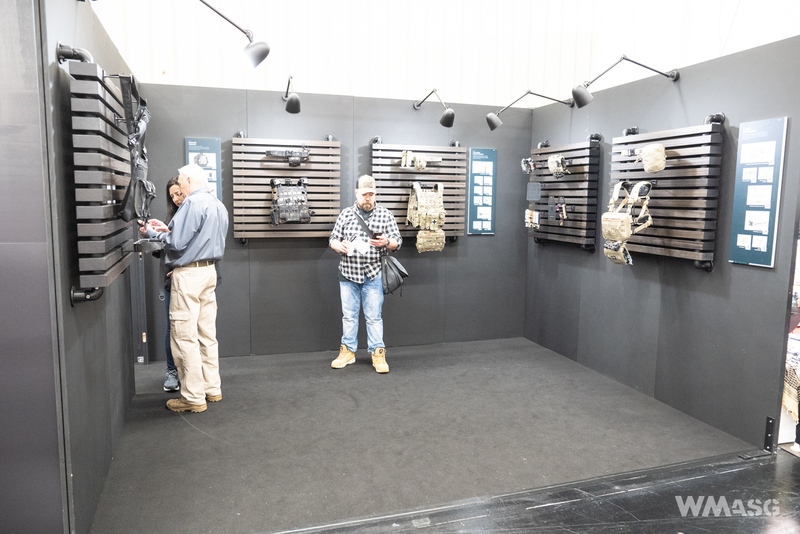 Take a look at our "tactical" photo coverage from the IWA and Enfrocetac fairs. 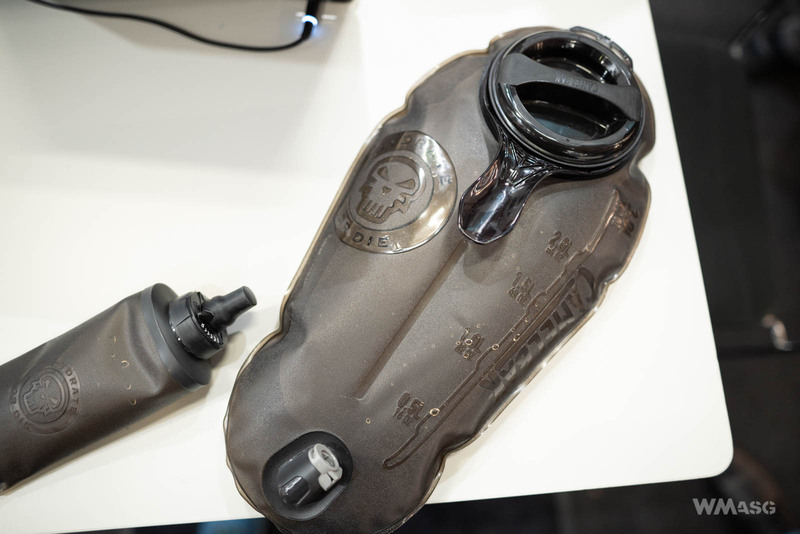 Camelbak has presented new, redesigned hydration systems and a rolled-up water bottle. 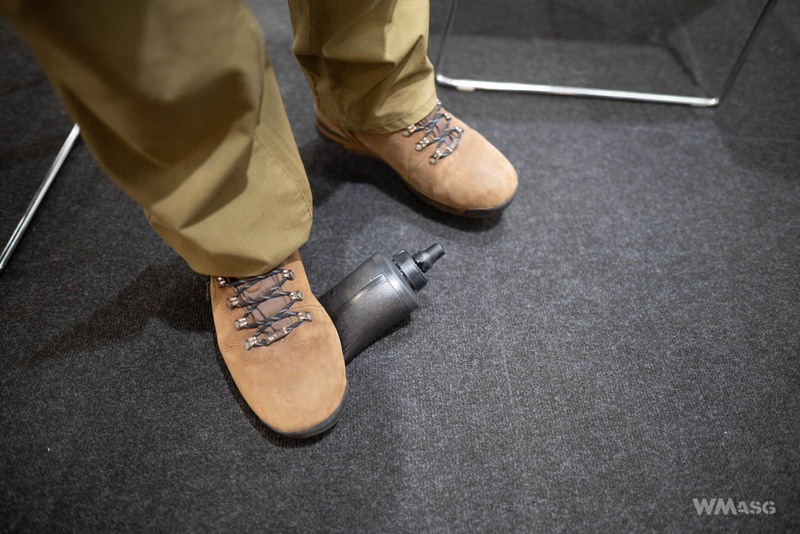 According to the company's representative the water supply hose has a diameter increased by 25%. 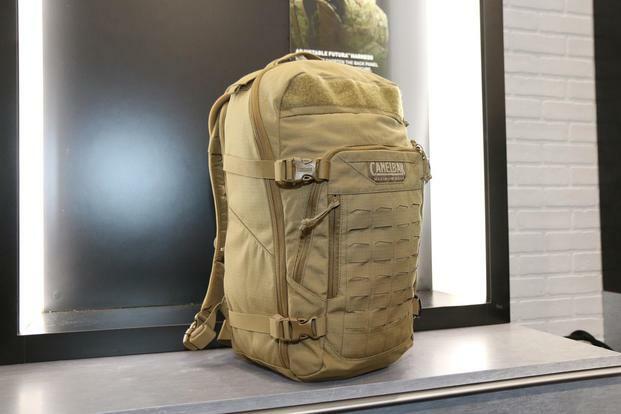 In addition to the that are backpacks already on offer, a new 30L backpack called SPARTA was also presented. 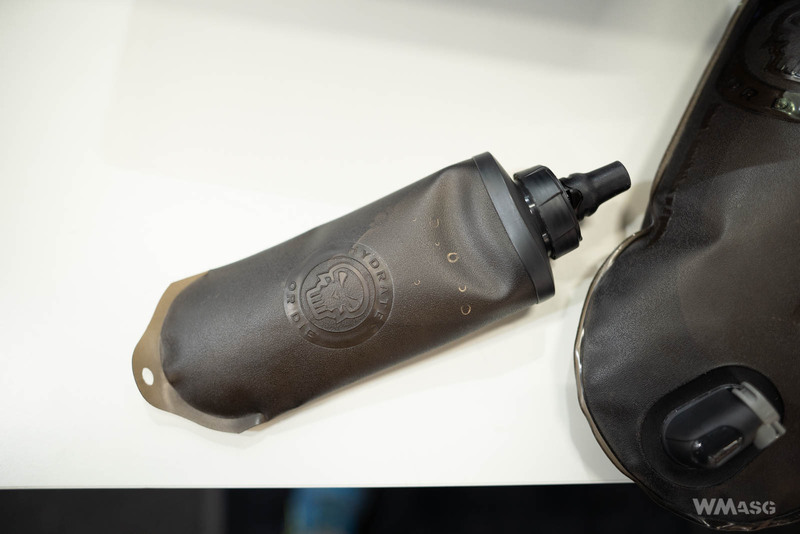 The already mentioned water bottle is called the Quick Stow Flask. 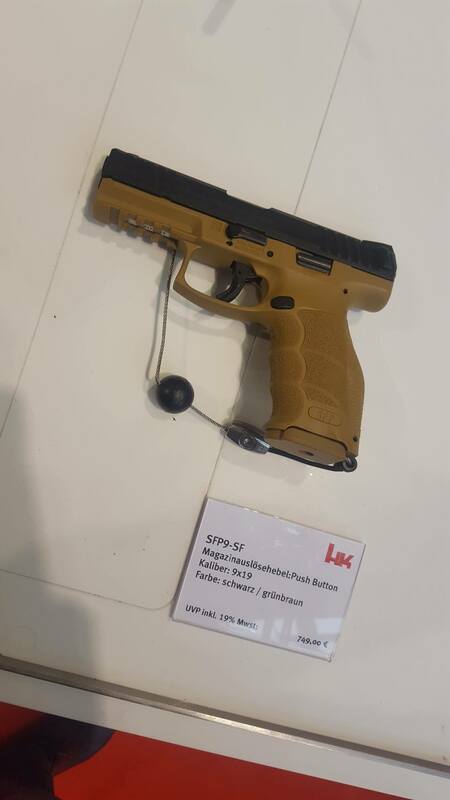 It has a capacity of 0.5l. 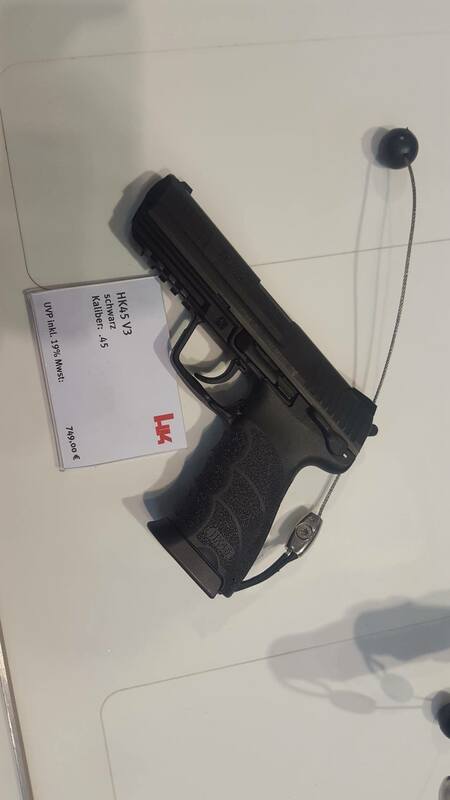 The expected price is about 28 USD. 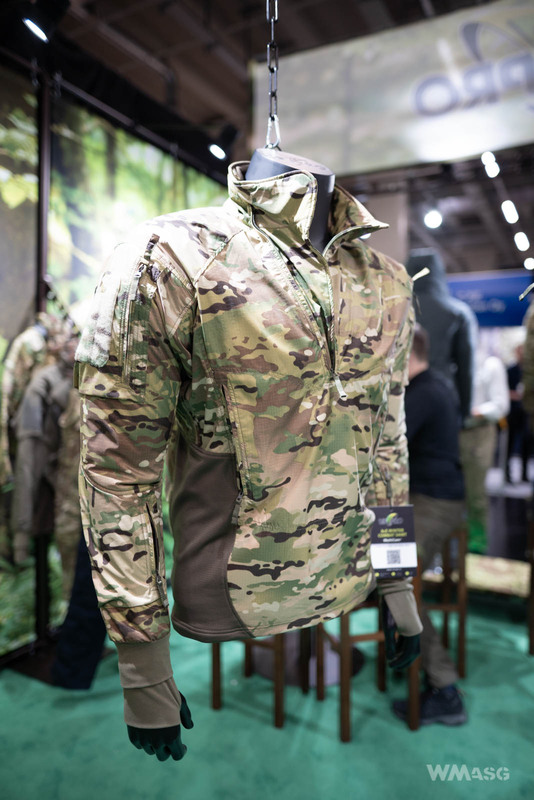 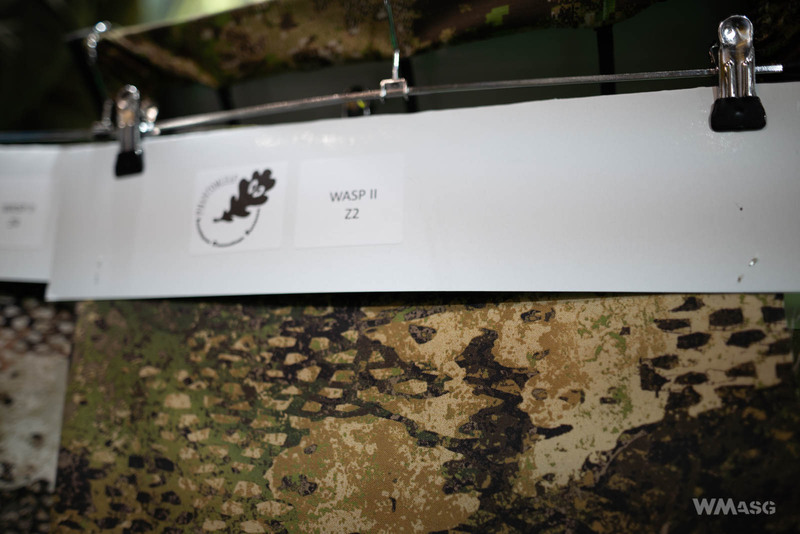 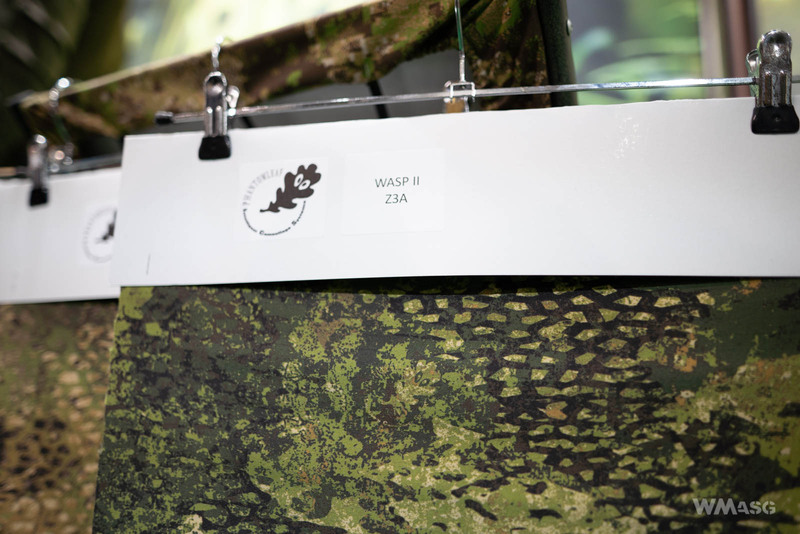 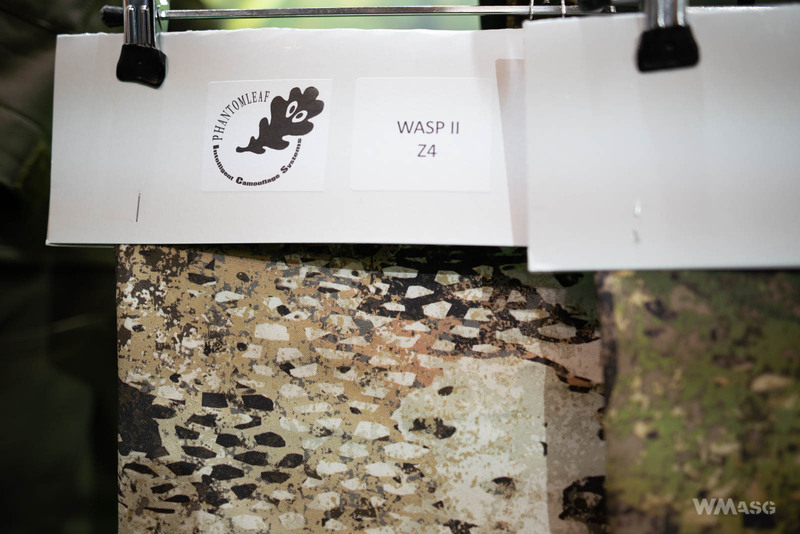 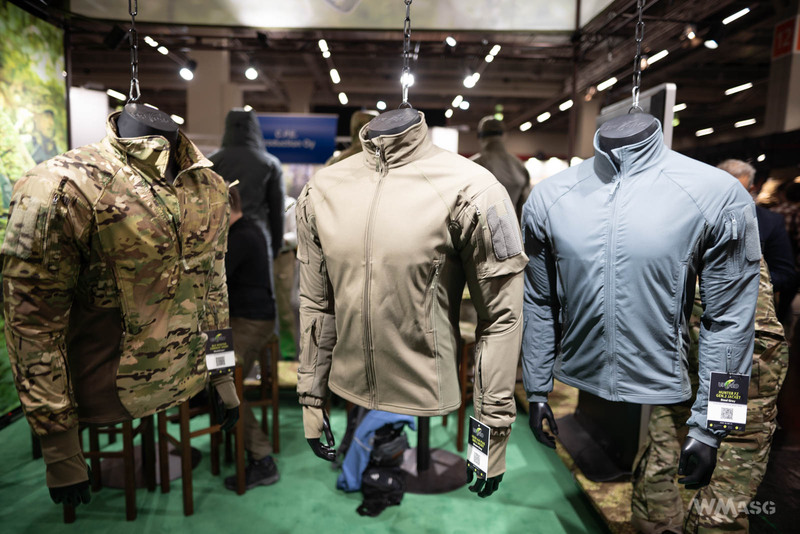 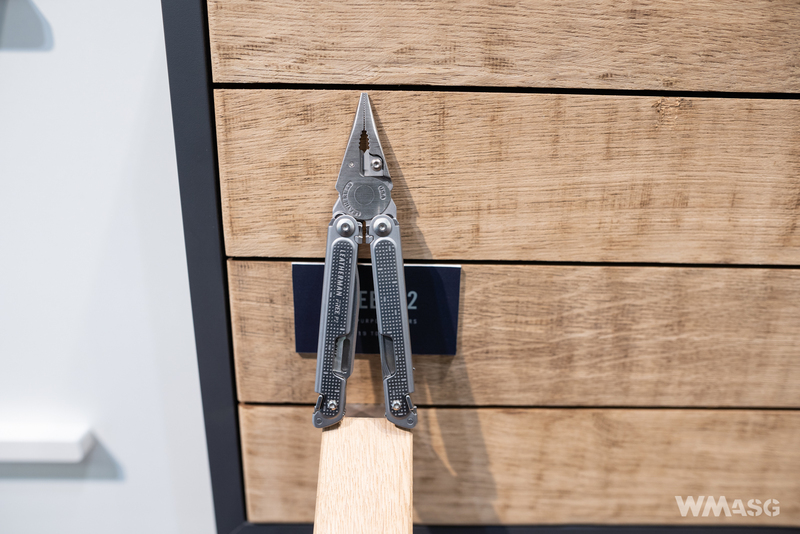 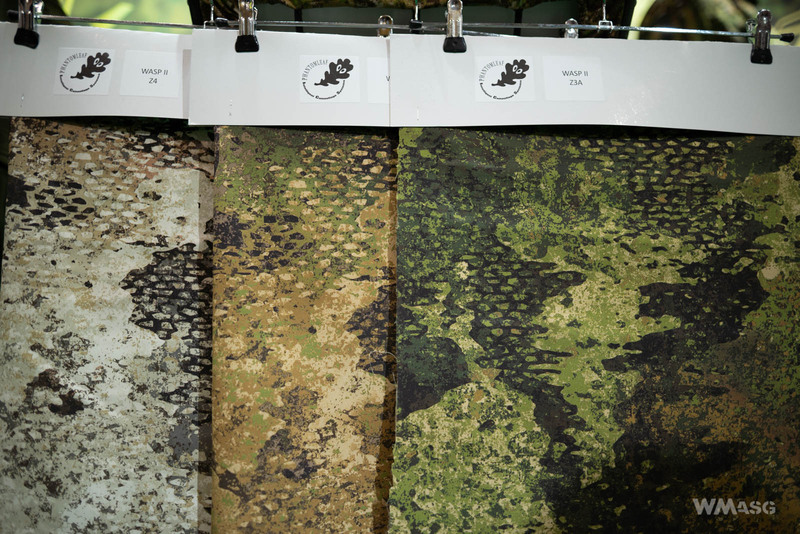 At the UF PRO booth, outside the known products, our attention was drawn by the new WASP camouflage (Z3A, Z4, Z2). 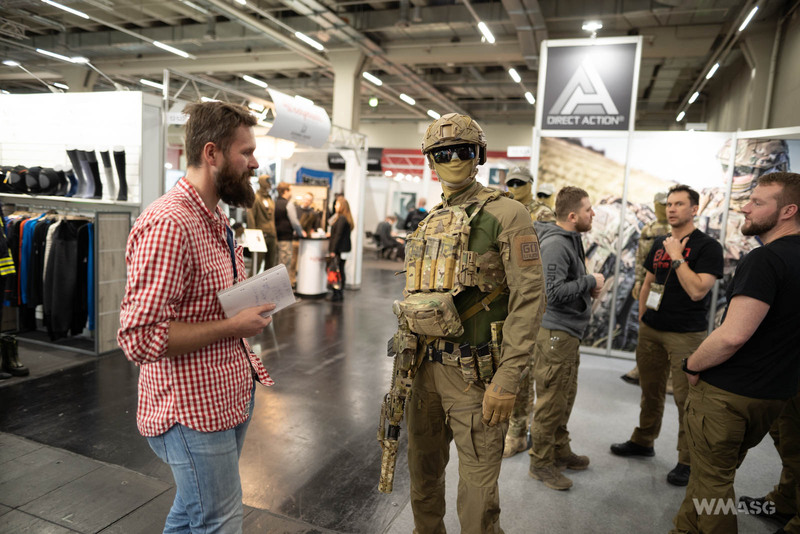 Unfortunately, despite our sincere desire, we were unable to talk to the company's representative. 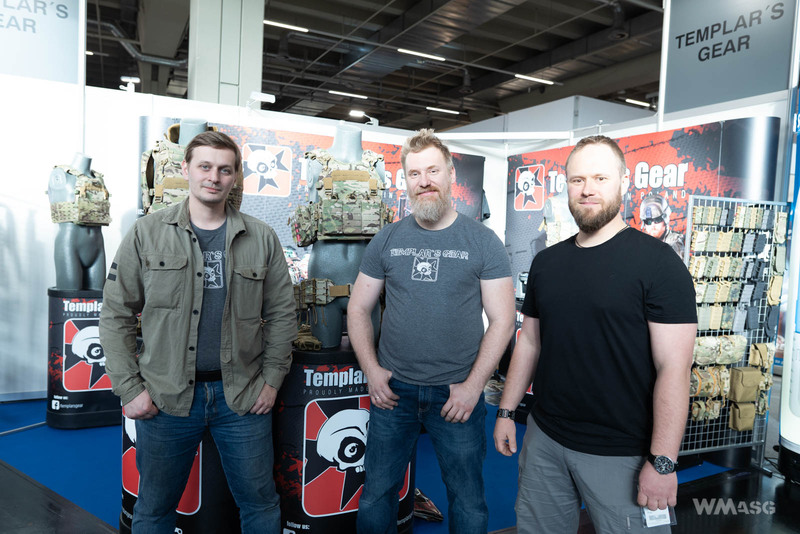 We were also welcomed at the Templar's Gear and Direct Action booth (we wrote about their new products in previous news). 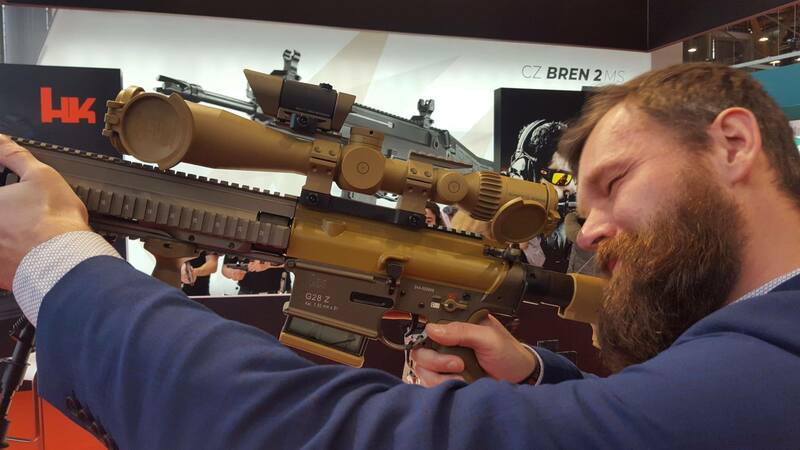 Mario finally found someone with whom he could talk as an equal XD. 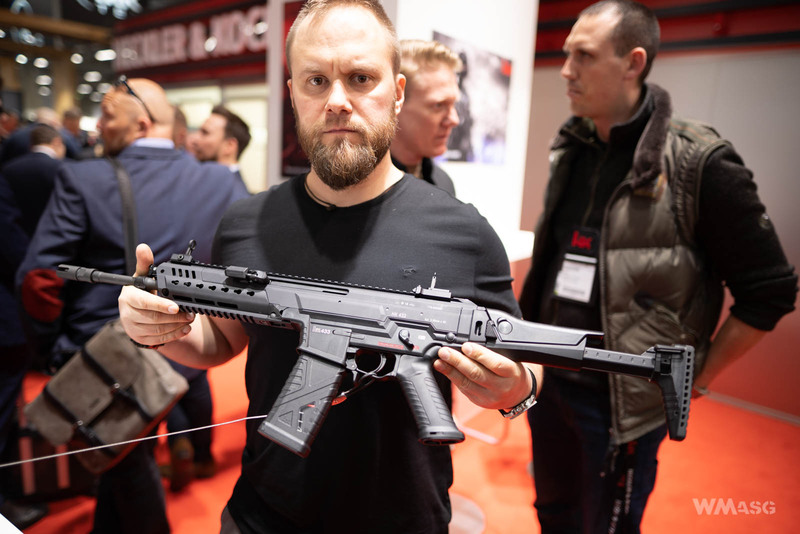 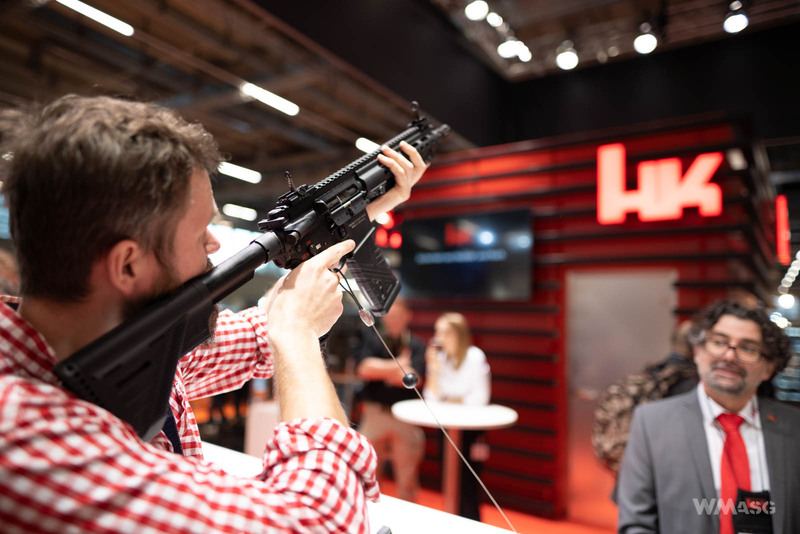 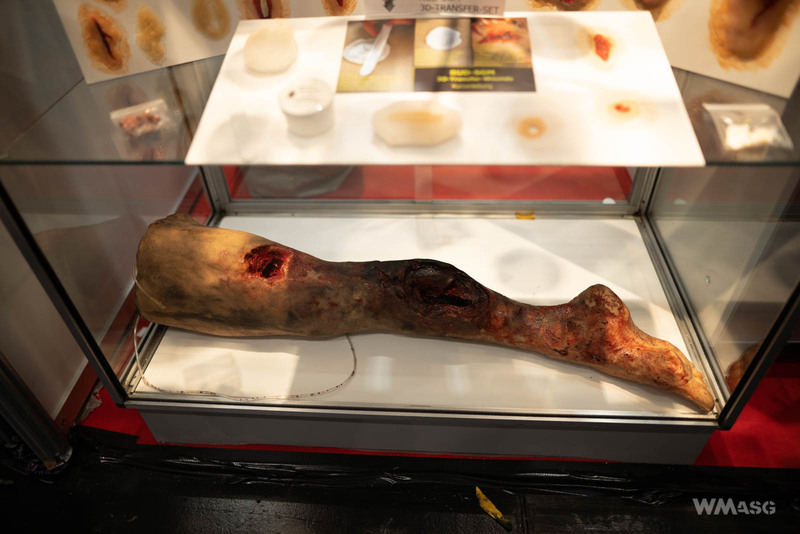 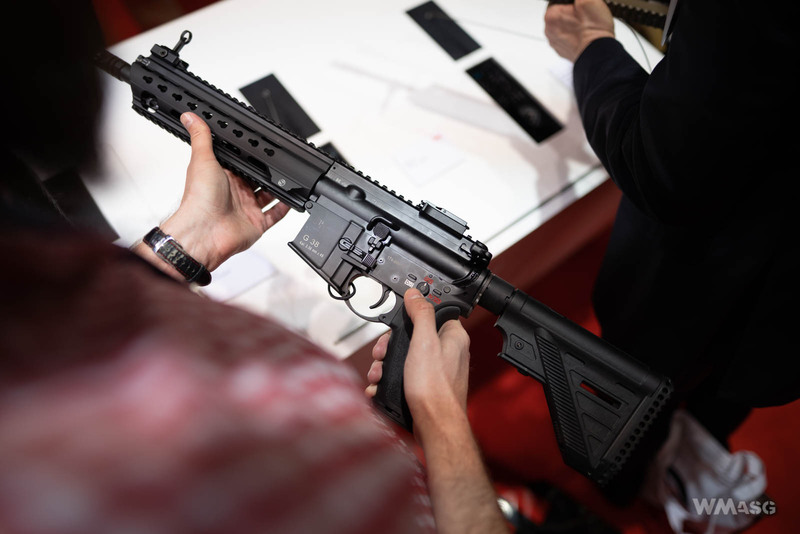 The Heckler und Koch booth presented weapons intended both for the law enforcement/military and civilian markets. 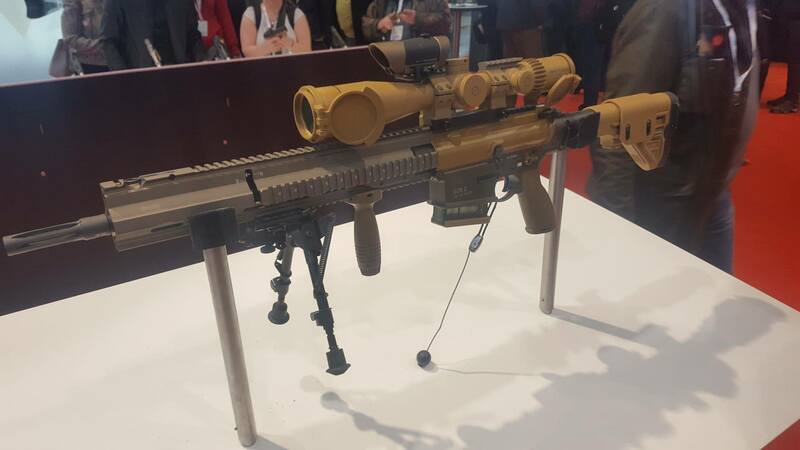 We could take a closer look at such models as the HK433, offered to the Bundeswehr, or the G28Z. 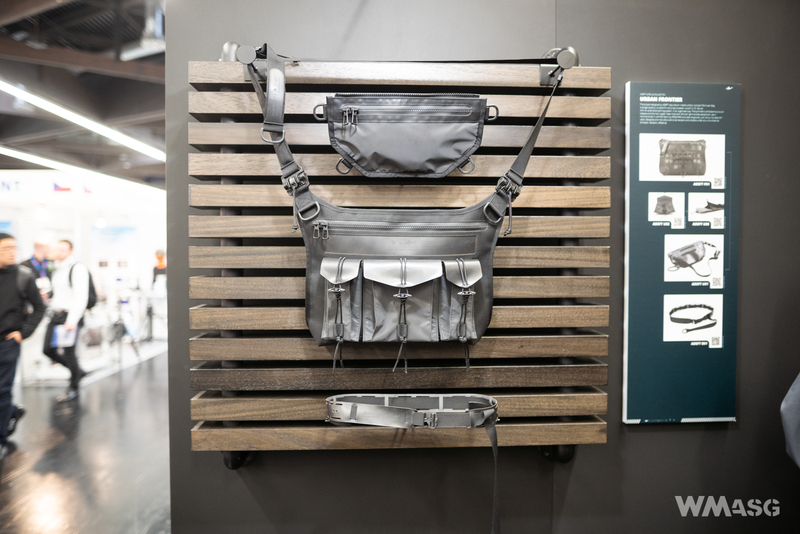 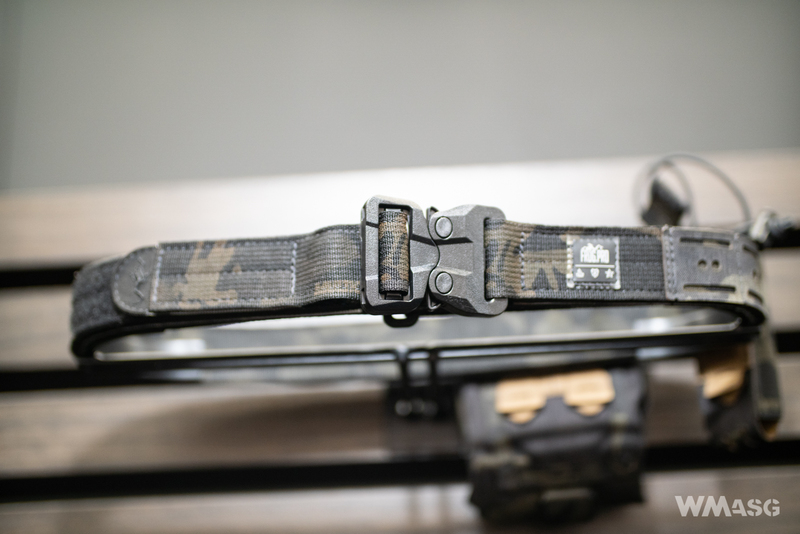 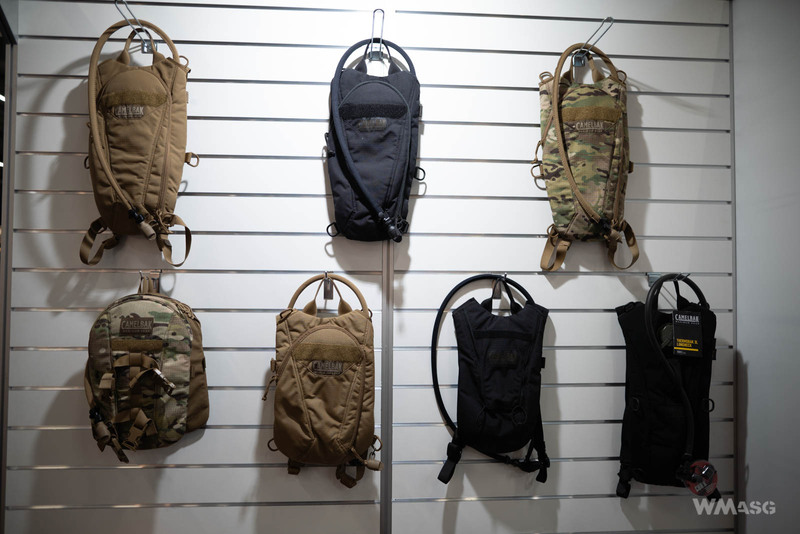 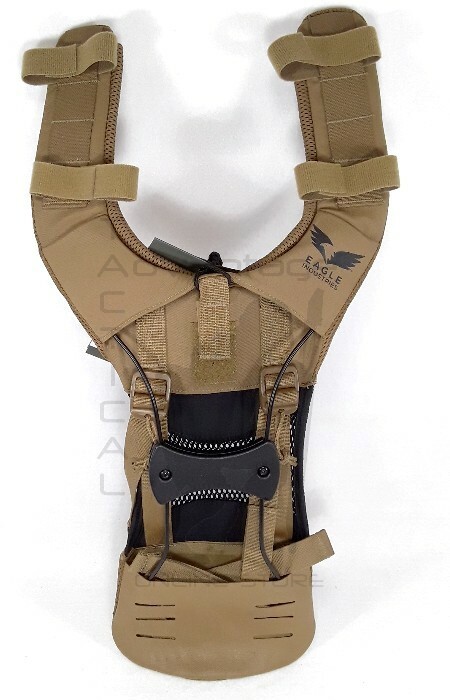 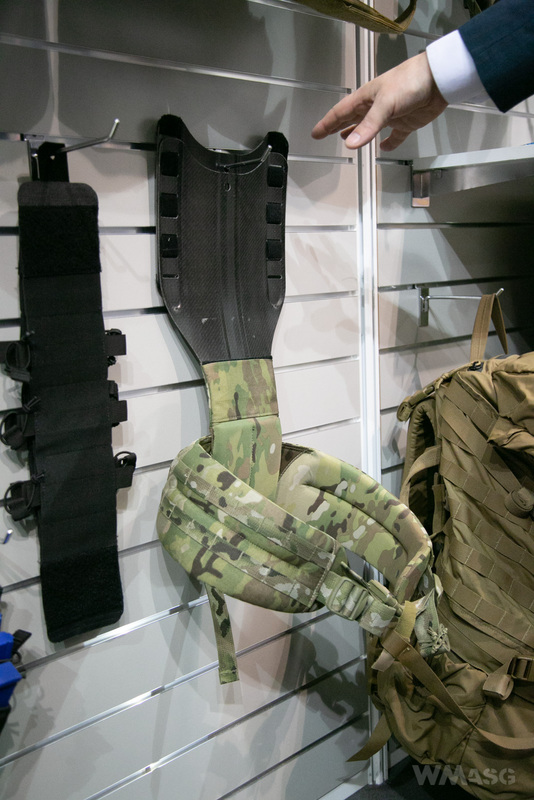 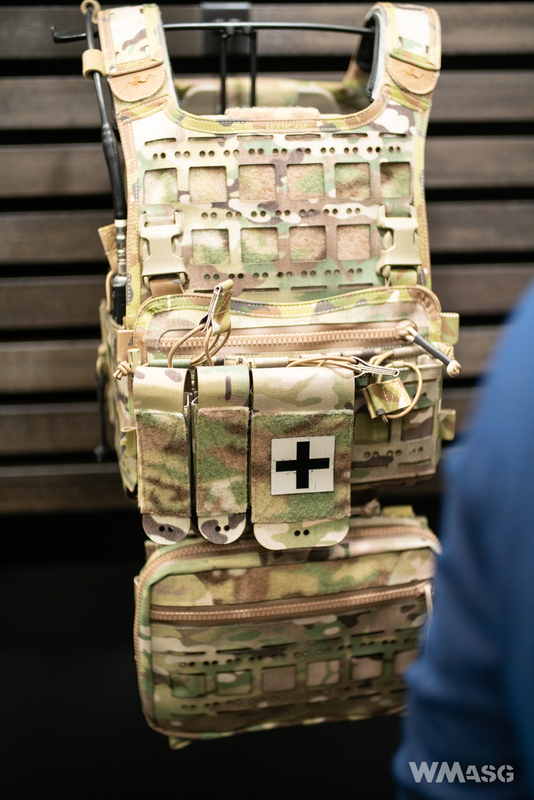 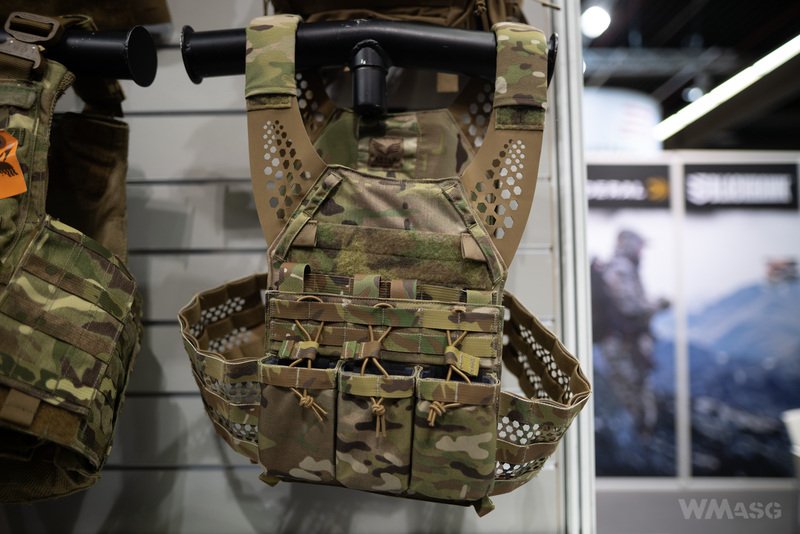 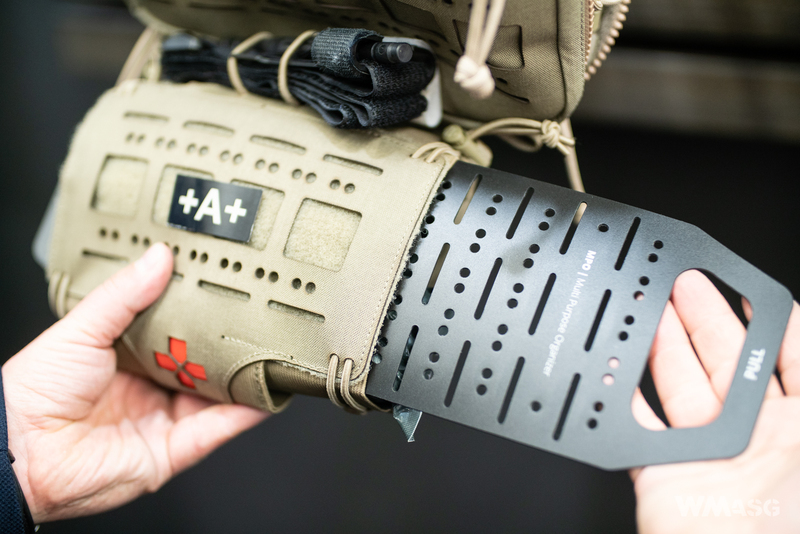 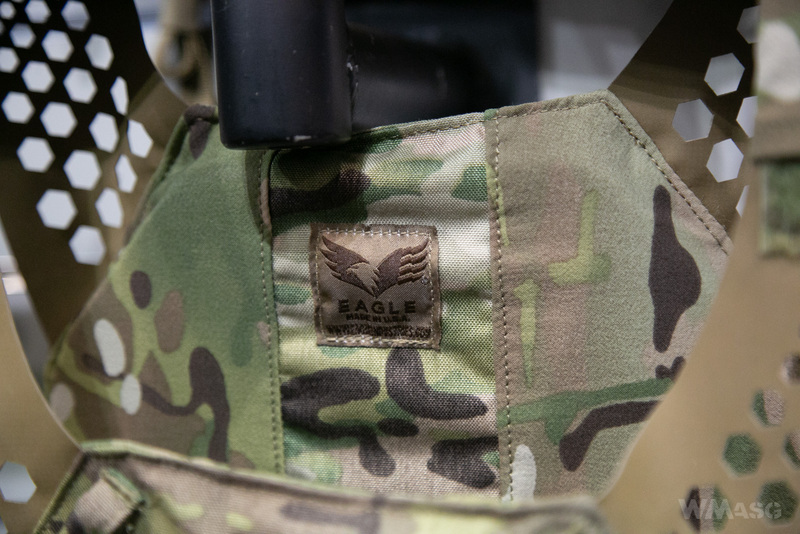 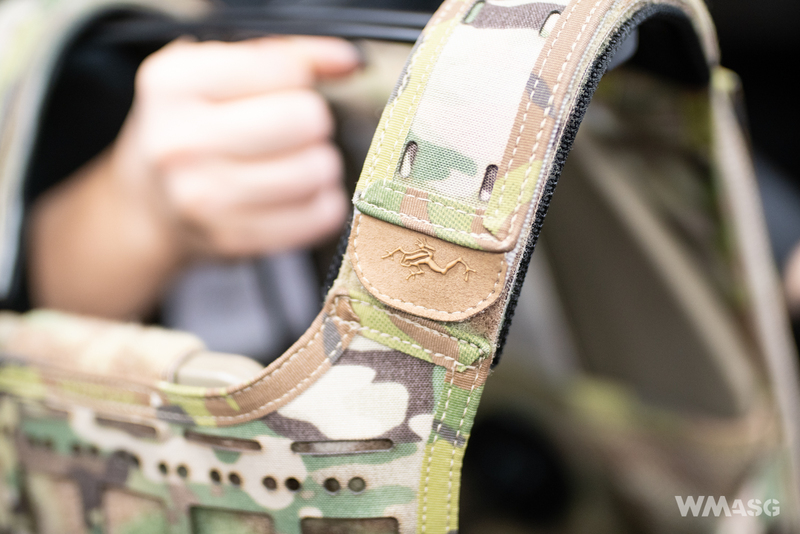 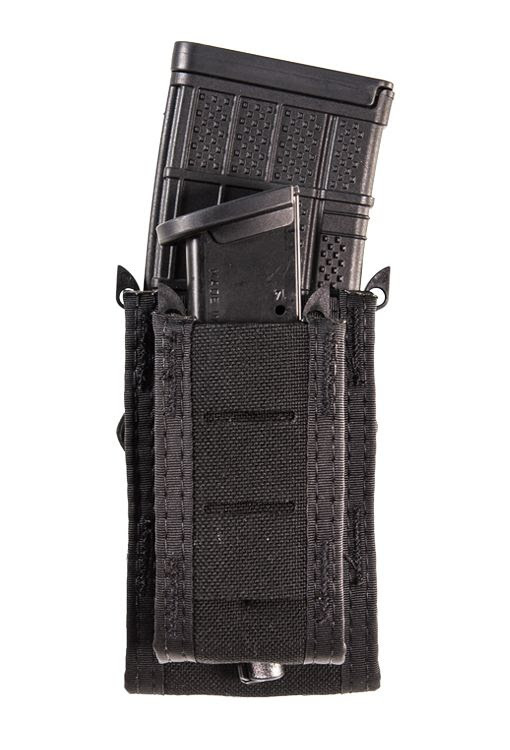 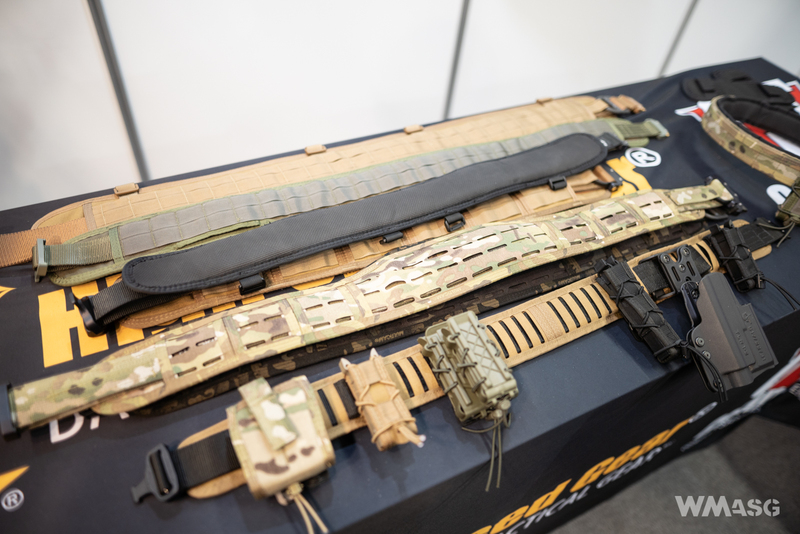 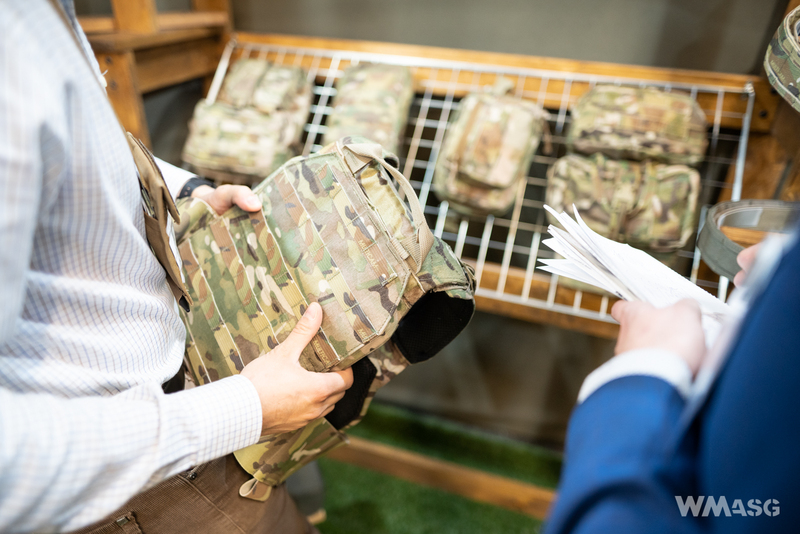 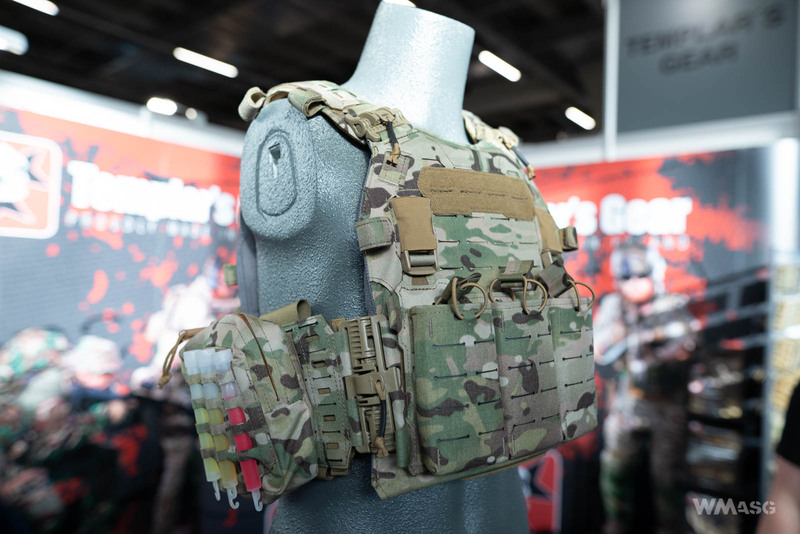 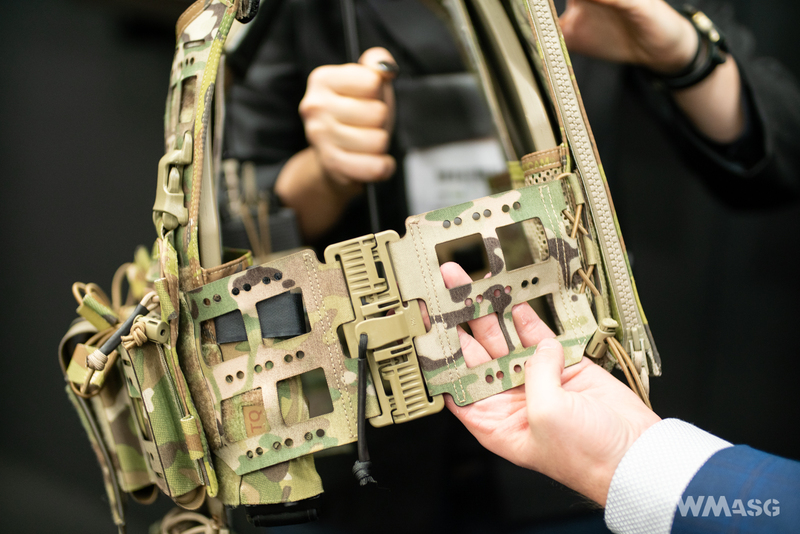 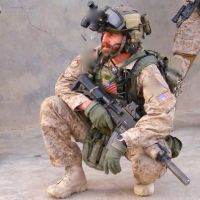 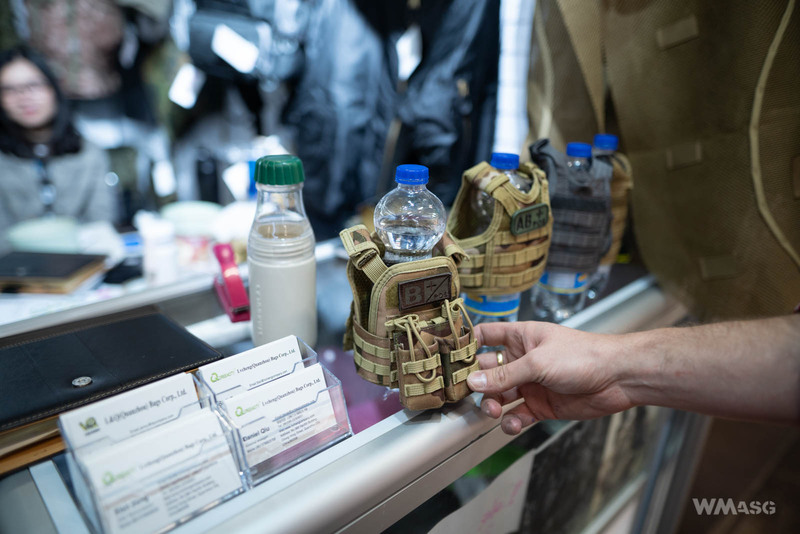 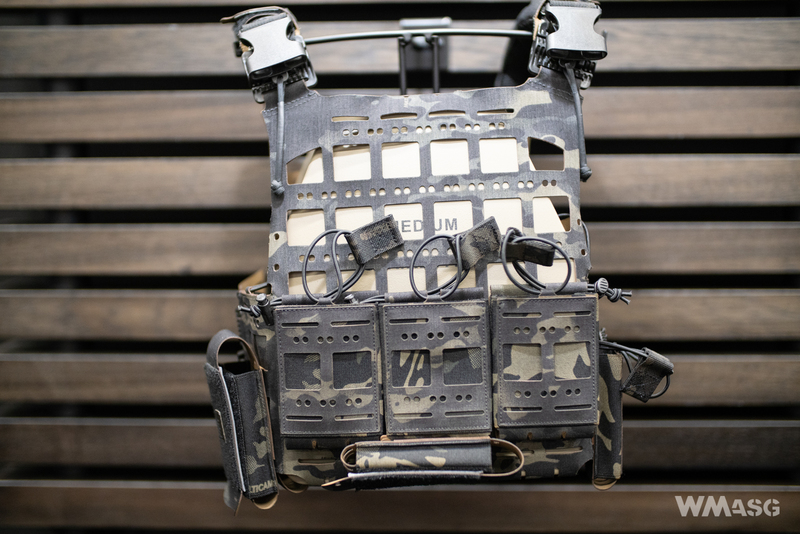 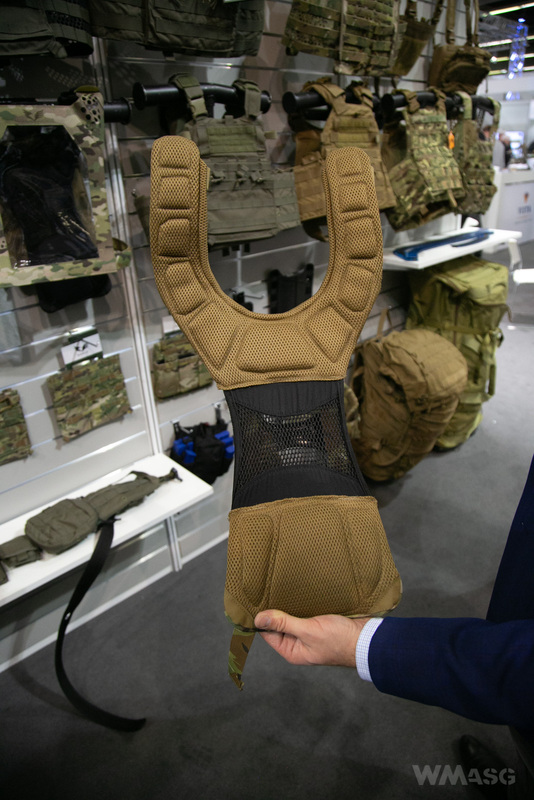 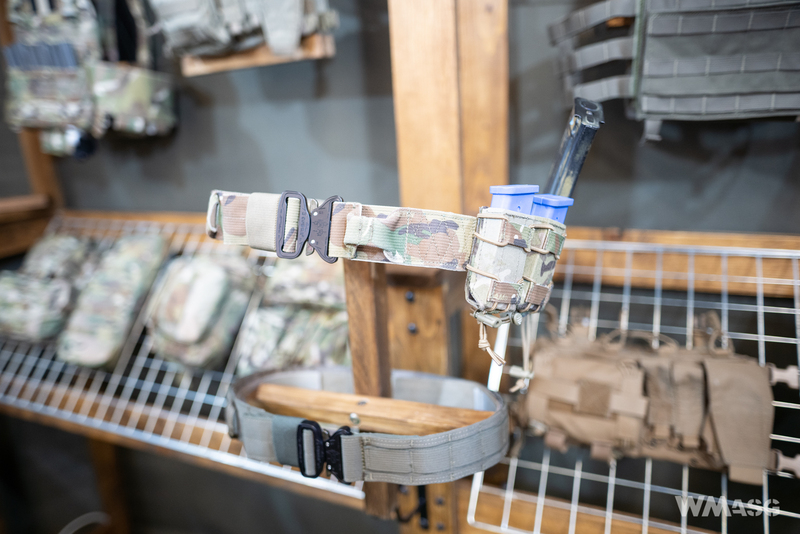 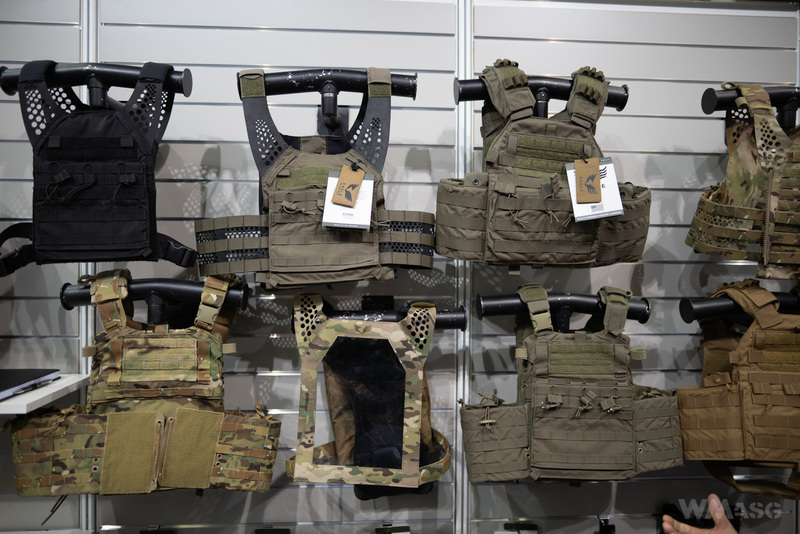 Eagle Industries presented variations on the known and popular JPC plate carrier and an interesting carrier system called the ERGO performance system. 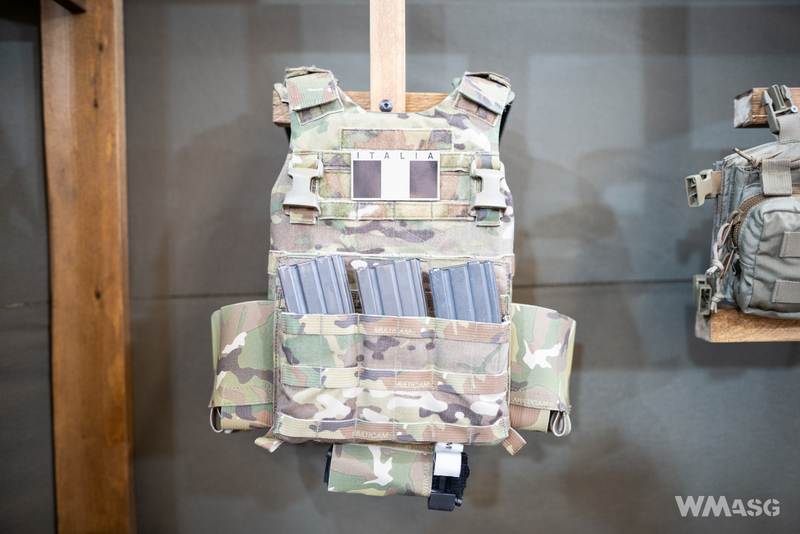 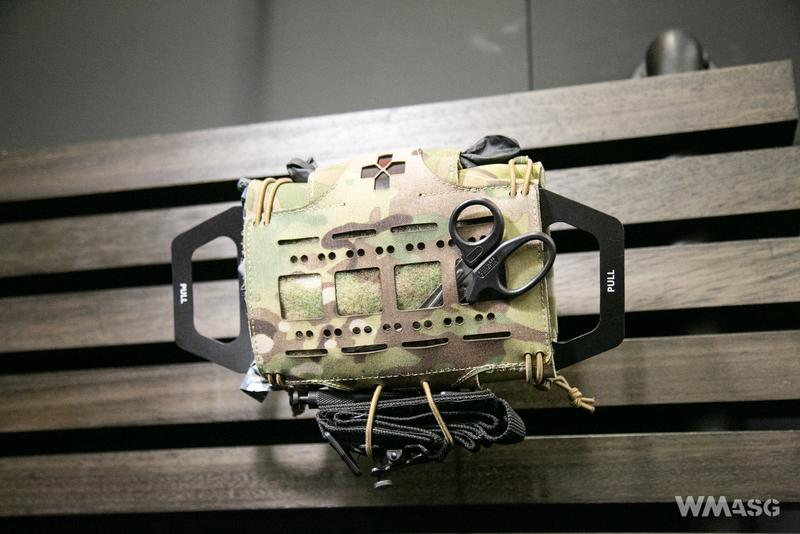 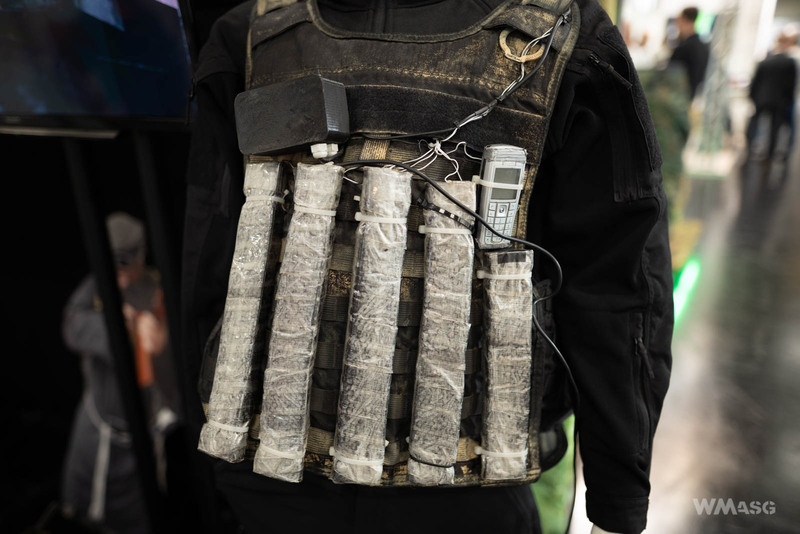 The system was designed to reduce the load on the arms and spine of a soldier wearing a ballistic shield, ammunition and a backpack. 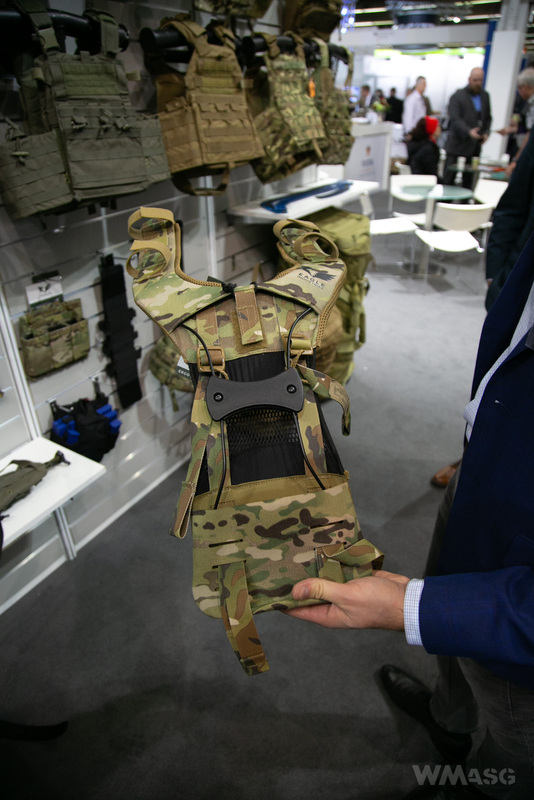 An interesting carrier plate for sea operations - created at the request of Italian special forces. 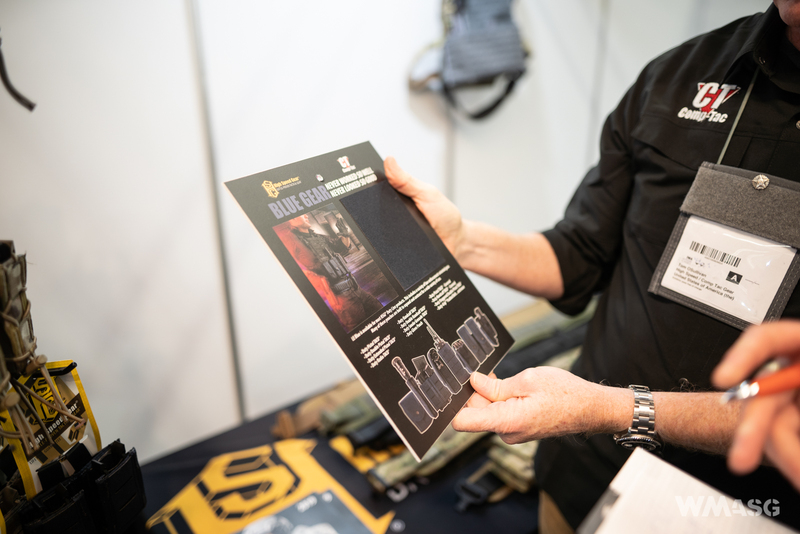 HSGI presented the new Blue Gear line. 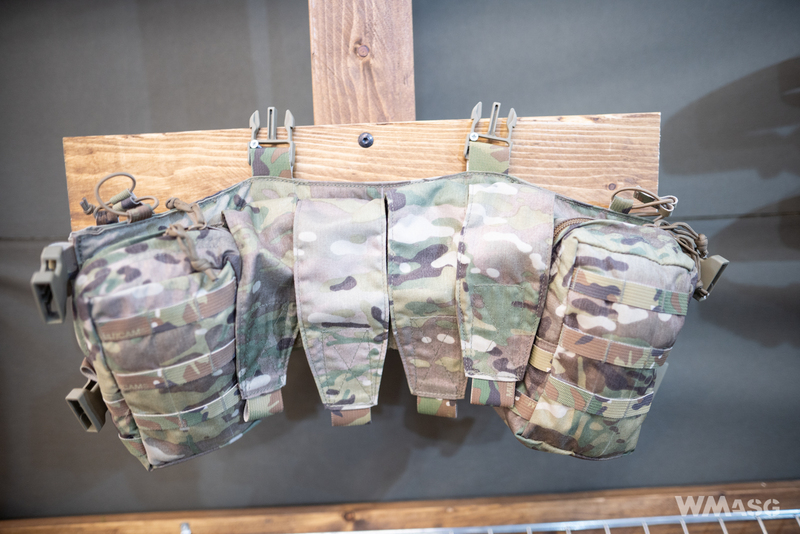 Based on the patented TACO system, a new line of pouches and belts was created, according to the representative we spoke to, in a color currently preferred by the Police. 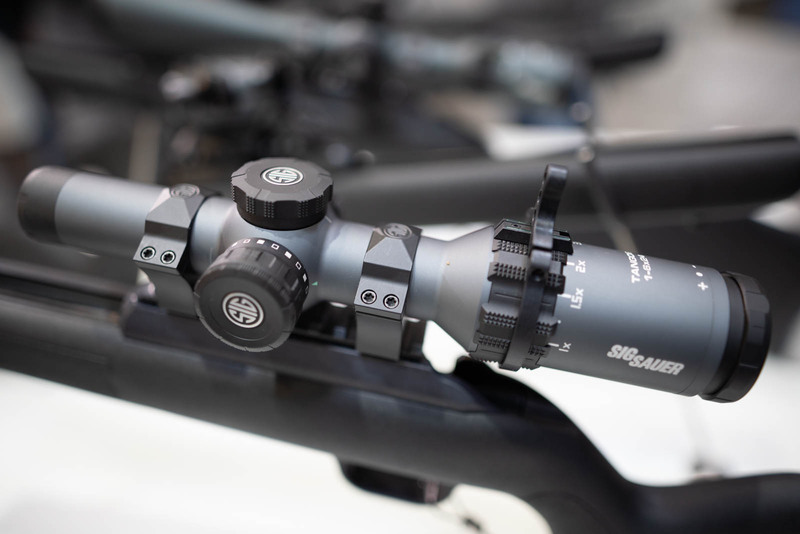 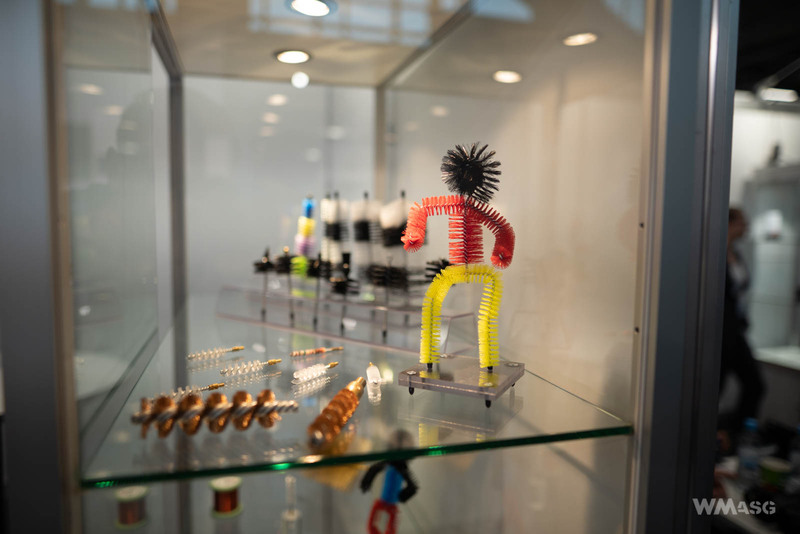 The equipment, apart from the color, is also characterized by a low-profile design and a lower weight. 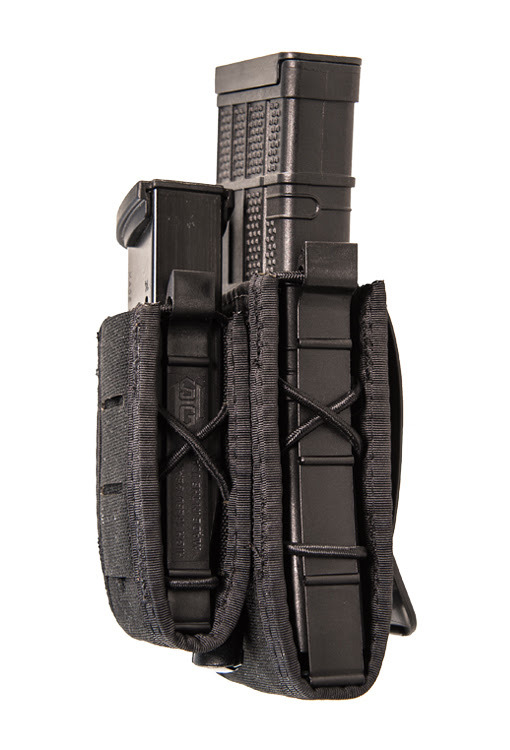 HSGI kydex pouches will also to be made in navy blue. 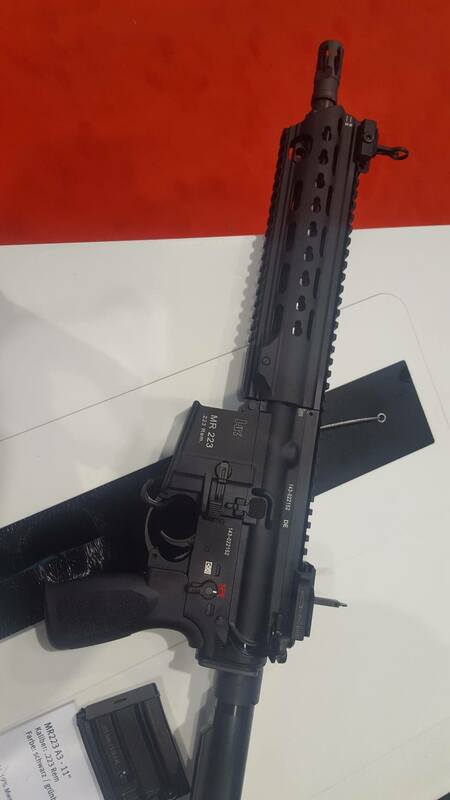 And finally, various other stuff.